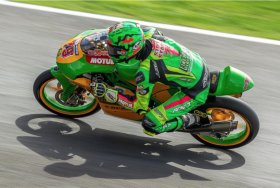 FPW Racing have enjoyed a strong weekend at Cadwell Park Race Circuit with Storm Stacey taking another couple of podium finishes to secure more points to his second place position overall in the championship!! Cadwell Circuit Was another warm one with Sunshine more or less throughout the weekend and with Team spirits high Storm continued improving his performance/Times right from the outset. In Friday’s FP1 & FP2 Storm managed to4th and then 3rd enabling the team to find the settings to put him hopefully in a good qualifying position. circuit unfortunately ended up with a Third row Start in eighth position on the grid. Race 1 proved even more excitement as Storm battled through the Grid with an excellent start from 8th place soon to be running upfront with Jake Archer and Jack Scott with several swaps throughout the Race. Storm was closing the front 2 down 1 or 2 10th a lap, On the 10th lap Storm had closed the gap to 0.53 seconds. Unfortunately the Race was Red Flagged with only 2 Laps to go due to an incident in the Standard Class giving Storm a Solid 3rd position - whilst doing so - got the Fastest Lap and ended up Starting from Pole position for Race 2 on Sunday!! After rider de brief and Not having to make many set-up refinements overnight, Storm was ready for the 12 lap race on Sunday, still running in unusually conditions – warm but maybe a possibility of rain (which delayed the Super Bike Race before us for a short time) but in the end it was a dry race! Corner and passed him putting him in 4th. Jake Archer, Asher Durham, Jack Scott and Storm circulated together for the first few laps, then Jake and Jack broke away at the front to leave Storm and Asher battling it out for 3rd position. At just over Two Thirds distance the Race was yet again Red Flagged and Storm gained the last podium! Storm is currently 2nd in the Championship with 206 points – 50 behind the Leader Jake Archer and 21 points in front of 3rd place Jack Scott. At Silverstone GP Circuit 07-09 September 2018.